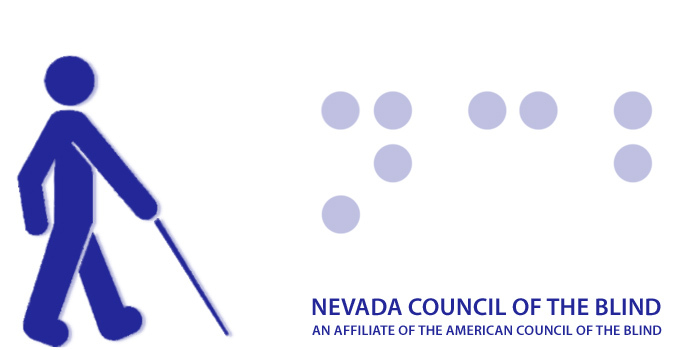 The Nevada Council of the Blind (NCB) is a 501(c)(3) non-profit organization advocating for safe, independent living for the blind and visually impaired. We are a voice of and for the blind and visually impaired. We offer peer support, education about blindness and scholarship opportunities, amongst other services. The majority of our membership is blind or visually impaired and has discovered there is life after blindness and seeks to support those who are wandering.